This summer, we learned more about downtown Saint Paul and the hunger need in our area. Downtown residents are disproportionately young (25-34 years old), although seniors are a fast-growing group of food shelf users. There is significant income disparity in downtown St. Paul with pronounced higher or lower income brackets. There is also a lack of affordable and healthy grocery access in the downtown area. There are supportive resources, many of which utilize grocery ‘rescue’. (Food deemed unsalable and thrown from area grocery stores is still good to eat and redistributed to those in need). The local Lunds & Byerlys is currently open to weekend grocery rescue, which is coordinated through the Second Harvest Heartland. Mobile food programs particularly increase access to nutritious food downtown by helping those who experience barriers to accessing traditional brick-and-mortar food shelves because of transportation or mobility challenges. It can be difficult to carry groceries on the bus! Our Hunger Task Force also learned about the importance of partnership and collaboration to hunger solutions. It is more efficient to support another organization that is already doing good work, rather than trying to “reinvent the wheel” with a competing program. 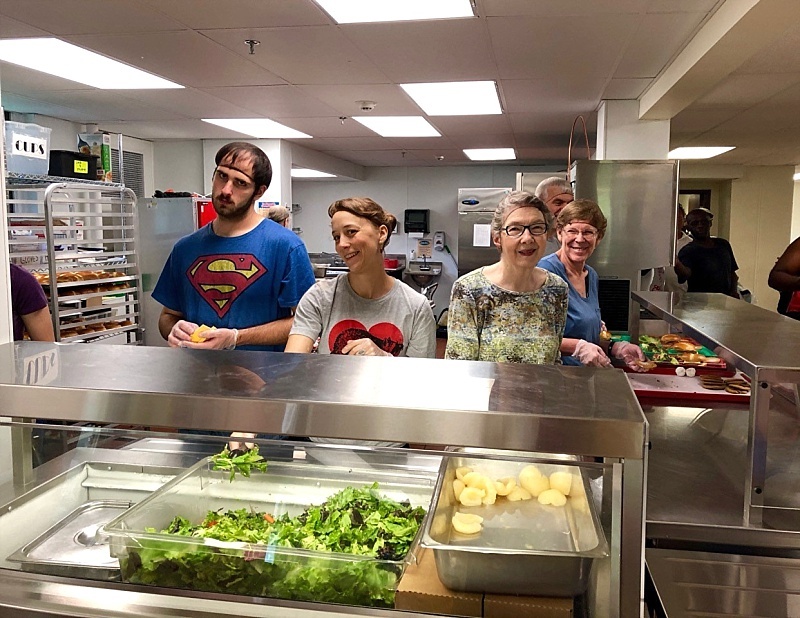 We also saw the value of socialization and building personal connections with those seeking hunger solutions. Volunteering can be a great way to start building these connections, as it helps bridge the gaps in understanding between people and strengthens the reach of available resources. Supporting the iHELP Market Square free grocery distribution program to expand their grocery delivery service to Central Towers, our neighboring senior hi-rise. Planning volunteer trips to local hunger relief organizations such as Keystone Community Services, Loaves and Fishes, and Higher Ground. Stocking our food pantry with affordable snack packs from the nonprofit MATTER, which we have already begun! Becoming an east metro satellite site for Open Arms of Minnesota which provides free meals for people with life threatening illnesses. Finally, there are three large organizations we are considering supporting: Hunger Solutions Minnesota, Keystone Community Services, and/or Twin Cities Mobile Market. ·Hunger Solutions is working to support food distribution where demand for services far outpaces the capacity of the food shelves. 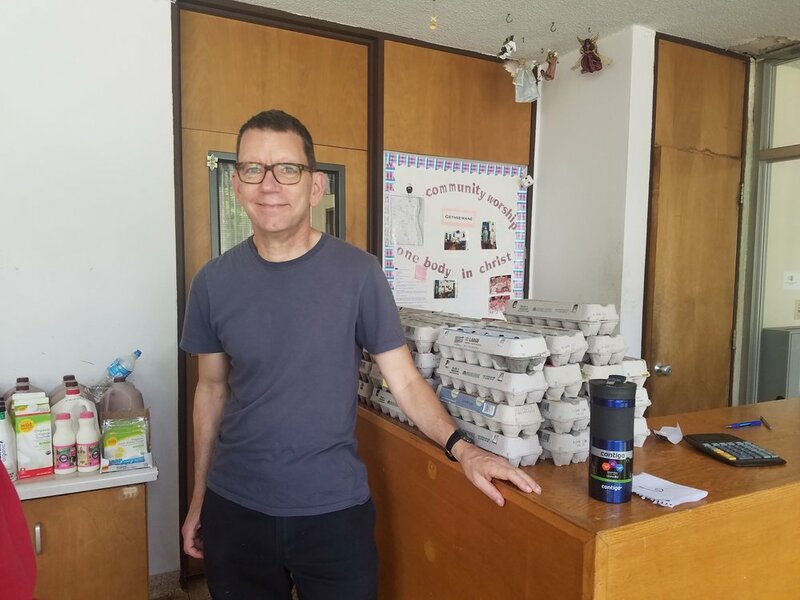 ·Keystone Community Services runs the Foodmobile food shelf that serves downtown Saint Paul, and hopes to work on developing a second Foodmobile next year. ·Twin Cities Mobile Market is an affordable, mobile grocery store also working toward program expansion. Discussions are still underway as to the best course of action for Central, but we expect to have decision announcements soon. 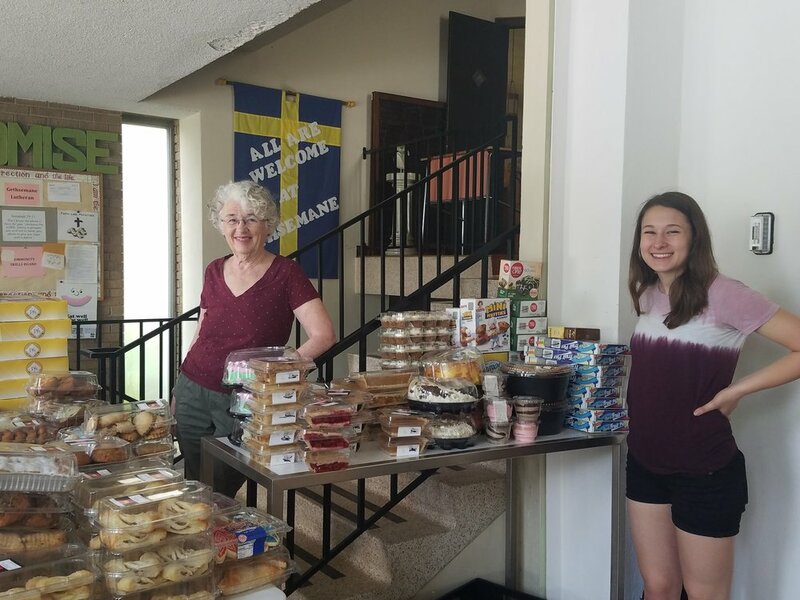 Thank you to Pastor Jeff and the volunteers at Gethsemane Lutheran Church for allowing us to see and experience their Monday food distribution this past June. As part of their Camden Promise, they serve their neighborhood in several ways including a food shelf, food distribution, community meals and more. This was an amazing opportunity for our volunteers to learn from their pastor, as well as other volunteers on what makes their program work smoothly and how we might adapt similar models for our own food ministries. Learn more about their program on their website. Thank you to Sarah Hoffman, Avis Tilden, Margaret Gordon, Ned Taylor and Christie Rachelle (not pictures) for being a part of this learning opportunity! Food is sorted for distribution on site, using every available surface - even the retaining walls outside. Inside it is organized by food type, then allocated based on the number of clients that day. Clients walk through the 'store' in the church's entrance and choose their preferences. Everything looked amazing and the staff did such an outstanding job organizing and distributing not just for today, but plans for upcoming distribution needs as well. 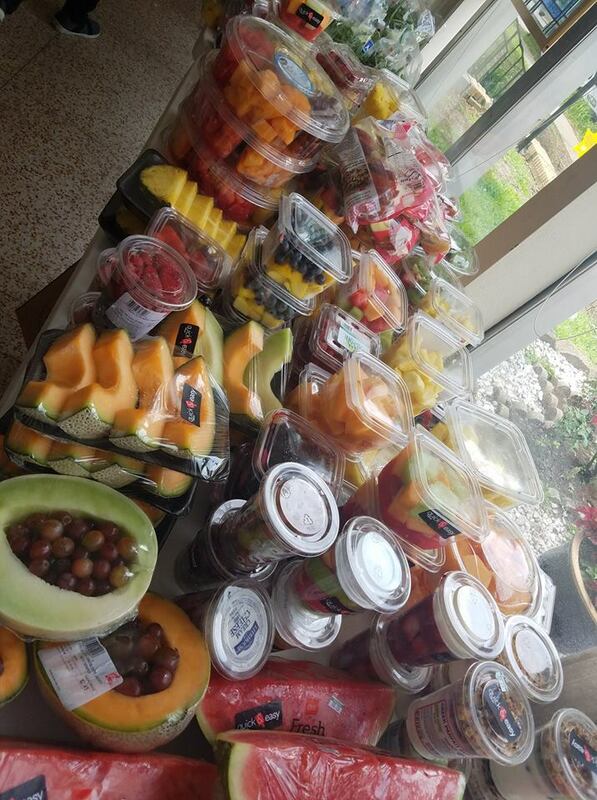 After walking the store, they head outside and have opportunity to take from the added produce options outside. Our volunteers helped to mark, sort and organize the day's distrubution with about 15 other volunteers, to serve the 43 families who would be visiting that day. Just waiting for the first clients to walk through! Our volunteers also helped clients know how many of each product type they could have. Thank you to everyone who represented Central’s Hunger Initiative Task Force at Higher Ground this summer!